This design exercise is based on a recent blog post called Poignant Repairs. Please read it before proceeding with this project. 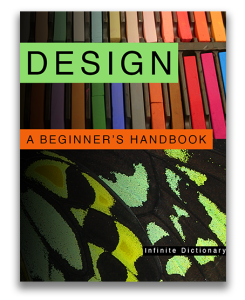 I also suggest you review our book, Design: A Beginner’s Handbook. Somewhere hidden in your home – in the back of a closet or stuffed into that junk drawer in the kitchen – you’ll undoubtedly find a broken item that you just couldn’t part with. If you’re like me you have plans for its resurrection. Well, this assignment is your chance to give it a new life, while adding a little love and a lot of design thinking. Design is essentially about finding an answer to a problem. Visual design includes solving a problem and incorporating the elements and principles of design into the solution. Look at all the work I highlighted in the blog post I’ve asked you to read, but pay particular attention to the pieces by Jan Vormann, the design group Droog, and Bouke De Vries. The works by these artists/designers go beyond the obvious and are also great examples of using the elements and principles of design to both repair and transform objects/materials. I am asking you to repair a broken and neglected item. Before you begin remember the context for this repair – an exploration of the elements and principles of design. This is no ordinary repair, but one that is about both form and function. Start by considering the function of the object and what is needed to make it work again. Then ask yourself whether you want to restore this function or create a new one. For this assignment both are acceptable responses. Remember that you are repairing something that someone else already designed. Identify how they used the elements and principles of design in the creation of that original object. How can you expand on what they started? What is your feeling about this original object? Do you think it is useful? Is it too complicated, or perhaps, too simple? Is it an answer to a problem that doesn’t exist? Is it cheaply made, or too lavish? Does the surface of the object add to it’s functionality or is it purely decorative? Does it’s form contradict its function? After asking and answering these questions decide if you want your repair to continue with the original designer’s ideas or contradict them. If you think the piece is pretentious you could come up with a solution that is even more absurd and over-the-top. If you love the simplicity you might reduce it further. If it’s an ordinary object but it contains a history and memories that are important to you can you find a way to have this history become part of the repaired object? Decide on several of the elements and principles of design that you want to integrate into your repair and then make sure that their use adds to the transformation of your object. Pay careful attention to craft – unless of course you want to make a statement by intentionally making a sloppy version of a sleek object, but be careful with this, it’s not as easy as it sounds. We’d love to have you share your repairs with us on our Facebook page. This entry was posted in Elements and Principles, How-To and tagged art and design exercise, art assignment, art education, art education resource, Art Textbook, design assignment, design textbook, elements and principles of design, poignant repairs. Bookmark the permalink.